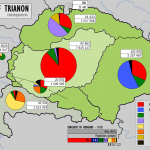 This GCSE and IGCSE History revision podcast focuses on the post-war treaties of St Germain with Austria, Neuilly with Bulgaria, Trianon with Hungary, and Sèvres with Turkey. 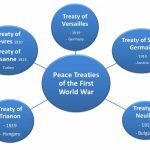 They are often overshadowed by the Treaty of Versailles, but the four treaties had an enormous effect on Europe and the Middle East in the interwar period. This podcast is designed to give an overview of the terms of these treaties with Austria, Hungary and Bulgaria as well as exploring the specific effects of the Treaty of Sèvres with Turkey. This I/GCSE History revision podcast looks at the uprisings in Communist Hungary and Czechoslovakia. Although they were 12 years apart, they share some common similarities but also have some marked differences. The podcast is divided into three main sections. Considering Hungary first, then Czechoslovakia, I explain the respective causes of the uprisings, the events during them, and finally the consequences. The third part of the podcast compares the two revolutions. 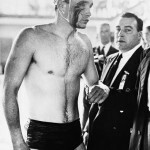 The first part of the episode addresses the Hungarian uprising of 1956 from the downfall of Rakosi to the rise of Nagy and his own eventual execution before the USSR reasserted its control over Hungary through Kadar. An explanation is given of why the USSR was so unwilling to allow Nagy’s reforms to take hold, and the extent to which the Hungarian people fought to assert their independence. 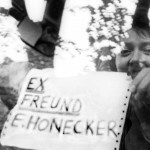 The second part of the revision podcast focuses on Czechoslovakia in 1968. 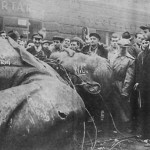 The policies of Dubček and the Prague Spring are outlined, along with their effect on the attitudes of both the Czech people and the Soviet Union. The eventual demise of Dubček following the USSR’s invasion of Czechoslovakia in 1968 is then described. The final part of the podcast is arguably the most important for revising History GCSE and IGCSE. The episode concludes with a comparison of the two uprisings, detailing an essay technique that helps you to explain the similarities and differences between them in an examination answer. It doesn’t actually matter whether you think they were more similar or more different, but it is important to present a balanced answer as outlined in the podcast. This is the final revision episode (for now!) in the series examining the Cold War for GCSE and IGCSE students. 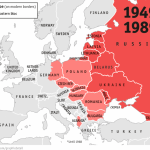 Focusing on the collapse of communism in eastern Europe it assesses the effect of the Solidarity movement in Poland, and the role of Gorbachev, in bringing about the end of Soviet dominance in the region. The second part of the podcast goes on to explore the specific experiences of major eastern European countries in the lat 1980s and early 1990s. The podcast begins with Poland, where massive popular opposition to the government led to the establishment of the Solidarity trade union in the Gdansk shipyards. 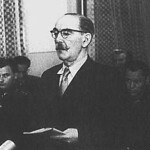 The rise of Solidarity is described, along with the subsequent government clampdown under the government of Jaruzelski. The impact of Solidarity is considered. 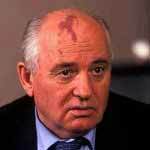 The second section looks at the USSR under the leadership of Mikhail Gorbachev. 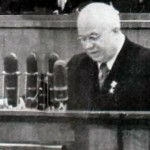 His two key policies of perestroika and glasnost are explained, and their impact of Soviet foreign policy is assessed. In the final section of the podcast, I describe the process through which the states of eastern Europe freed themselves from communist rule. The most popular exam questions on the collapse of communism focus on asking WHY a certain event contributed to the end of the system, or ask to what extent a particular event was responsible. Remember that to answer any of these questions you need to support your reason with solid evidence, and explain exactly WHY it contributed to the collapse of communism. 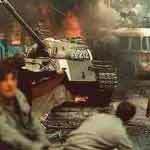 These three videos present the events that led to the end of communism in the Eastern Bloc. On the 10th September 1989, the Hungarian government announced the opening of the border with Austria to allow thousands of East Germans to leave the Communist Bloc.